Siem Reap literally means “defeat of Siam”, depicting the end of the centuries old conflict between the Khmer ethnic people (who represent 90% of Cambodia) and the Siamese. 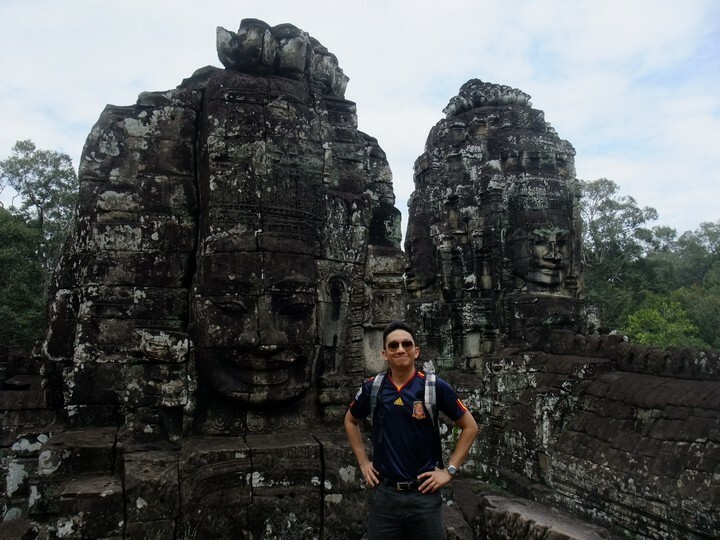 It has always been my dream to visit Cambodia and especially Siem Reap where the beautiful and very famous Angkor Wat and its surrounding temples reside. My prayers were answered when I received the invitation to attend one of Asia’s biggest festival called Blogfest Asia 2012 where key bloggers come together to learn and interact with each other. 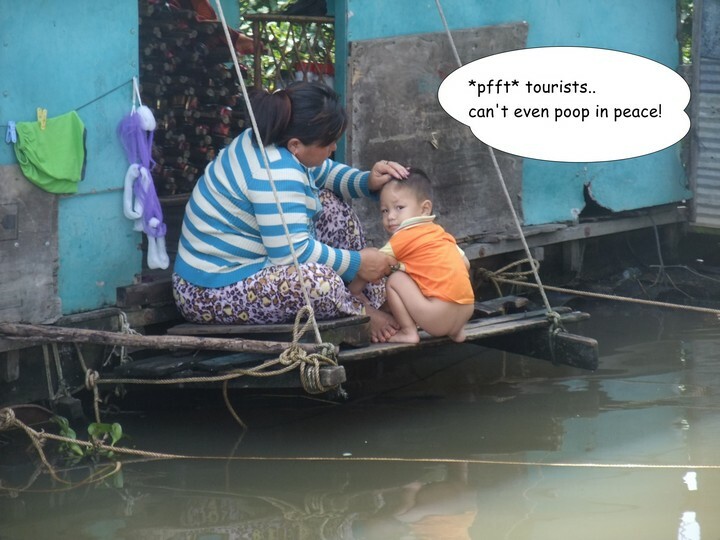 I had the time of my life and loved every moment spent eating, walking, drinking, taking thousands of beautiful pictures, and sharing short, meaningful conversations with the friendly and helpful Cambodians. There is this fascinating fact about the currency system in Cambodia. Khmer Riel is the official currency of Cambodia but US dollars is preferred. Even the ATM machines spit out US dollars. 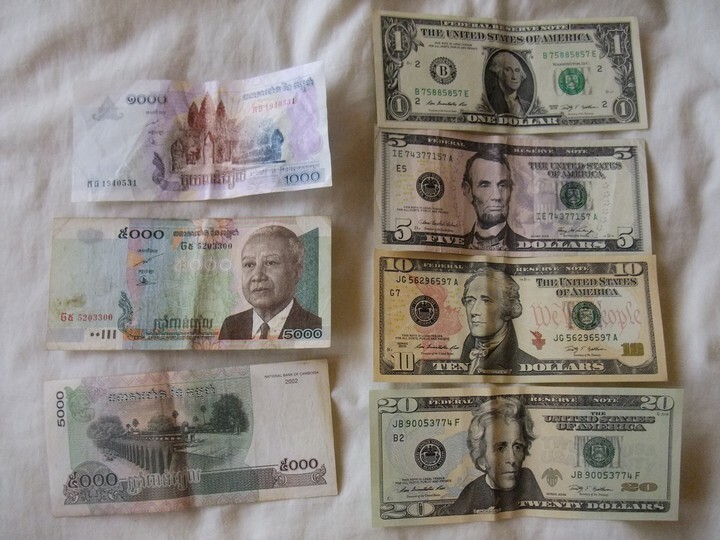 However, both currencies are interchangeable at US$1 for every 4000 Khmer Riel. These fellas above who manned the counter of the hotel where I stayed in for the entire 6 days and 5 nights are ever so helpful, friendly and always ready to serve you with a smile! Khouch (left) and Rina (right) made my stay epic, speaking with me every time I passed by, giving me an insight into their lives and their culture. Chamna, a Cambodian herself, is another perfect example. She has always been there whenever help is needed. 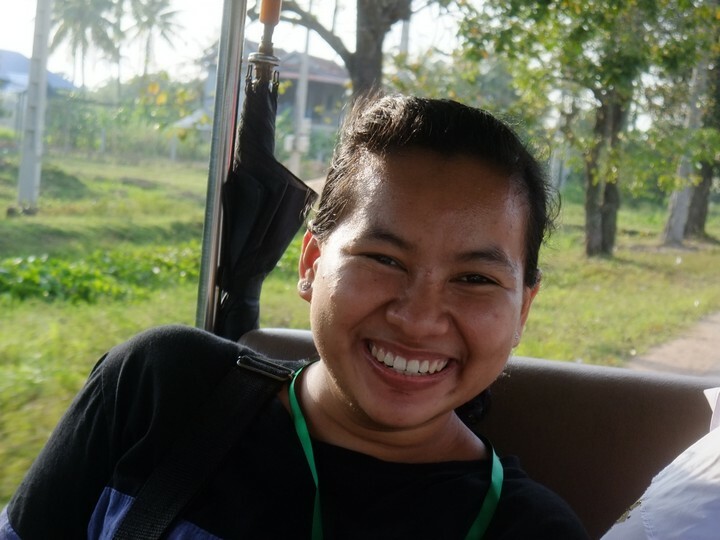 She never grew tired of translating between Khmer and English when it came to clarifying explanations, be it from the tuktuk driver, the boat cruise driver or the waitress taking our orders. I am so glad that we met, Chamna! 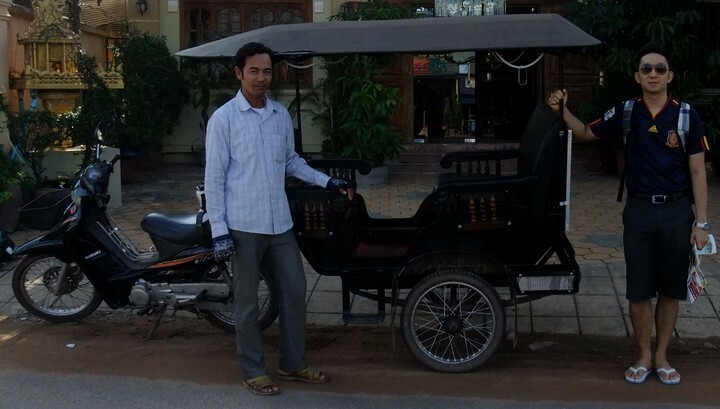 To me, Sam Oeun, my hotel’s tuktuk driver has been nothing short of awesome! He accommodated every whim and fancy of mine, going the extra mile by explaining the do’s and dont’s of each location that we went. His English may not be perfect but his service and ever smiling face makes up for it. Moreover, he charges accordingly. US$1 for anywhere around town. US$13 for an entire day’s tour of Angkor Archeological Park. Before arriving, I have always thought of Angkor Wat to be a huge, old temple on its own, attracting about a million visitors to Siem Reap in 2011 alone. Boy was I wrong! Angkor Wat is only part of a bigger picture, the Angkor Archeological Park that consist of more than 50 over temples! Actually, I felt a sense of regret for not allocating more days to check out the other marvelous temples littered around the main ones. I only made it to 7 temples in a day and I still couldn’t get enough of it! A lot of walking and climbing was involved to truly appreciate the site. I learned by observing and reading that if you intend to do the small circuit tour, there is a sequence that majority of the tourists follow. 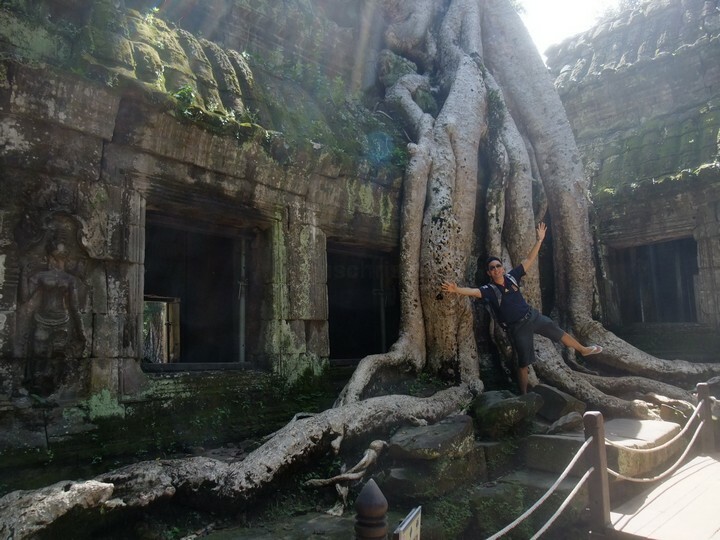 Usually, the first temple visited is Angkor Wat followed by Bayon, Ta Keo, Ta Prohm, Banteay Kdei and Prasat Kravan in a clockwise flow. Sometimes, Angkor Wat is left for last for the sunset. The Angkor temples are truly beautiful that even with the throngs of tourists you can still feel the magic. However, if you intend to take photographs of yourself at the ‘hotspots’ of the temples, you gotta either be ahead or be behind of the crowds. There are 2 methods of doing that. One, start your journey by 5.30am with a sunrise at Angkor Wat. Two, start your journey comfortably after breakfast with Prasat Kravan, moving in an anticlockwise flow. I did the second method and was really surprised that it worked! It was much less crowded! 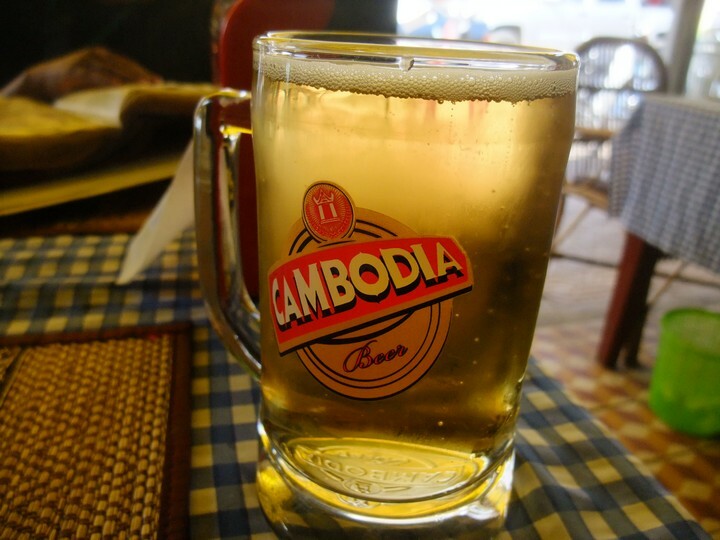 Before you arrive, learn the history of the Khmer empire to get the most from your experience. 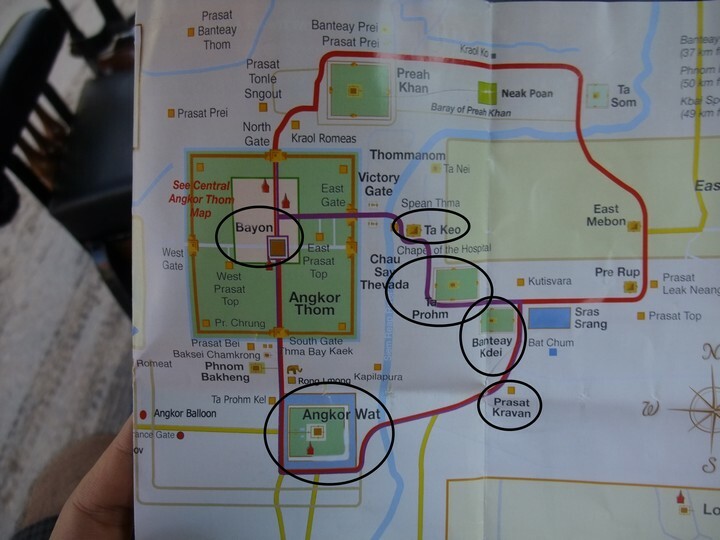 Do your homework, plan your itinerary, take lots of water and don’t forget some of the lesser known temples. 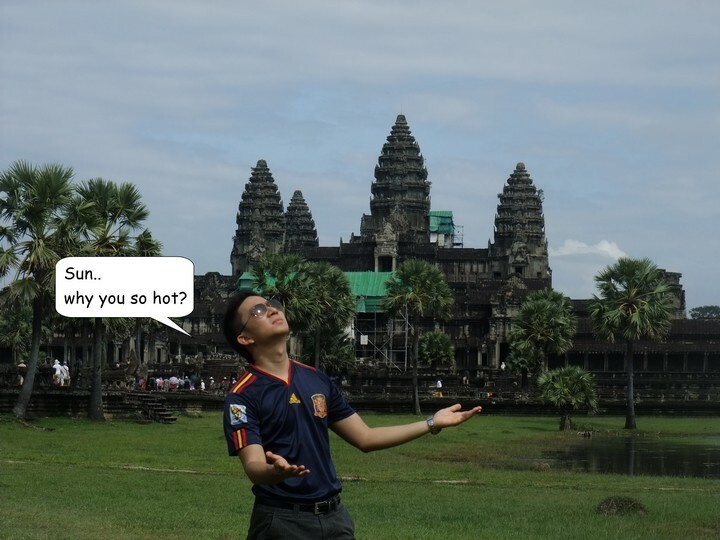 Honestly, I don’t know if I’ll ever visit another place as memorable as Angkor Archeological Park! 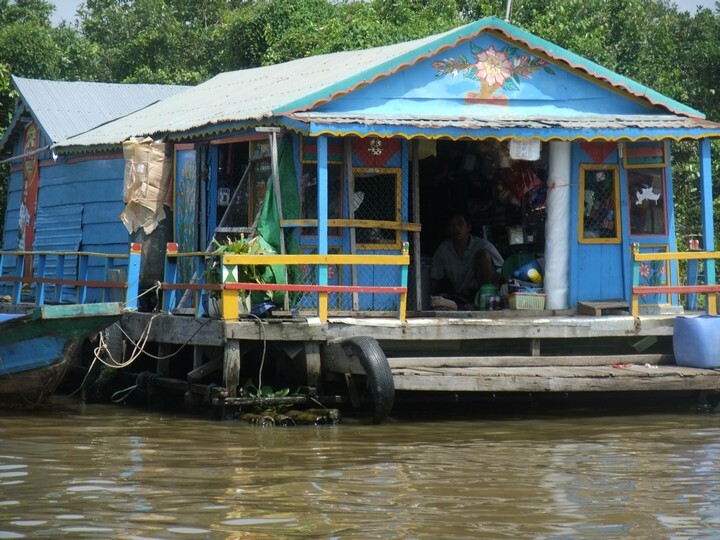 The floating village at Tonlesap lake was truly a one of a kind experience. Once I started to get the sight of the floating village, I forgot about the sun. I saw a different way of living. Houses, schools, churches, minimarkets and even restaurants all in water! It felt really great to see such a unique site! A tip would be to bring a mask along the journey as there are lots of red dust flying all around when you go there by tuktuk. 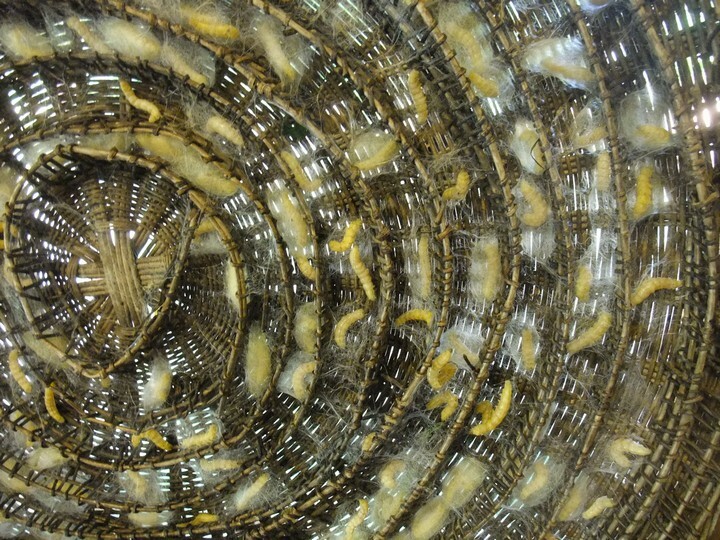 I would highly recommend you to include the silk farm into your list of things to do when you arrive in Siem Reap. One thing I love about the silk farm is that the entrance is free! Everyone is welcome in spite of not being always customers. There, I learned the entire silk making process from the mulberry trees, to how the silk worms were treated from eggs to worm, to producing silk, to the finished product. I never looked at silk the same way ever again! If you are into markets, you will love this! Earlier in the day, the market is bustling with locals selling all sorts of things from fish, vegetables, meat, fruits, herbs and spices, clothes, shoes, souvenirs, restaurants and even salons! Yes, salons in the market! That’s so cool! I kid you not, if you bargain right (around ¼ of the asking price), you could get your items cheaper than anywhere else in the world! The night markets are a must see! There are so many good, locally produced goodies for sale. Lots of Ganesha and Buddha carvings, tshirts, sarungs, small ornaments and not forgetting cheap 15min massages for only US$1!!! Siem Reap town being relatively modest in size compared to other cities, offers an amazing range of food from Khmer/Cambodian cuisines to the posh Heritage Suites Restaurant. 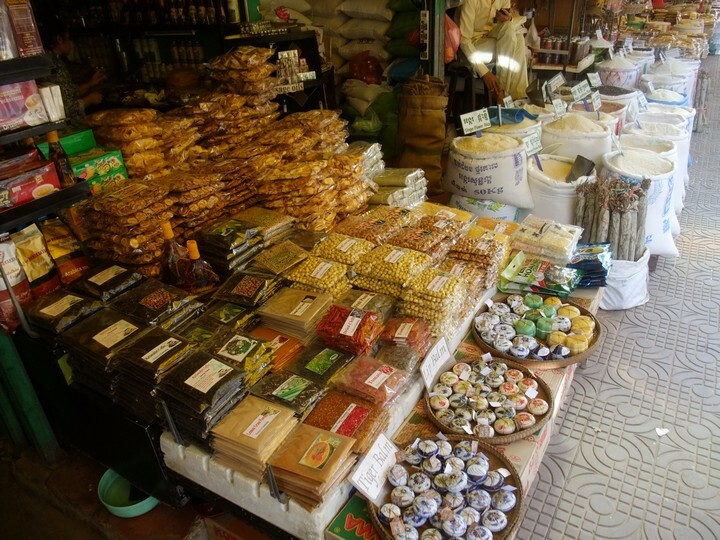 You can get authentic, delicious, and reasonably priced Khmer/Cambodian food from the many restaurants and pushcarts scattered all over the old market area. Personally, I don’t really enjoy an overly-crowded-with-tourists kind of place but in contrast to that, I really loved Pub Street. I particularly loved the cheaper-than-water, all-night-long 50 cents draught beer available everywhere along the street. Moreover it’s a great place to meet other travelers as this is where everyone congregates after sunset. 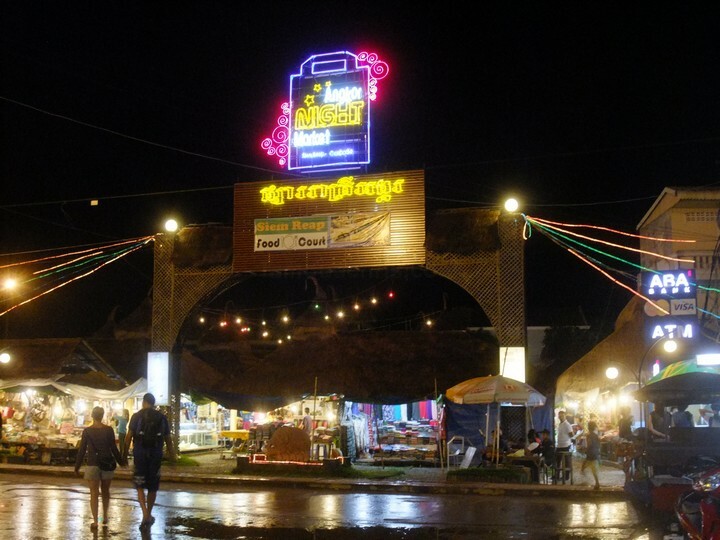 No visit to Siem Reap would be complete without a visit to Pub Street. Finding a place to sleep in Siem Reap is the easiest thing you will do on your trip. You can find lots of hotels scattered all over town accommodating budgets of al sizes, be it the US$900 per night Amansara or one of the extremely cheap US$6 guesthouses. 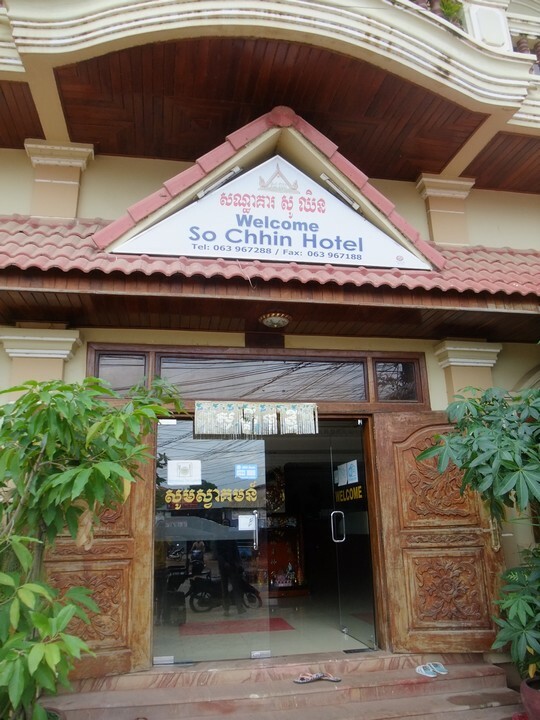 During my time here, I stayed in So Chhin Hotel because of the excellent facilities offered. Free wifi in the entire hotel, free breakfast and best of all, free bicycles! amazing post, chris! makes me want to die in envy and regret of passing up this opportunity over an ordinary toxic week at work. Wow, thank you for this post!! Inga : I bet mornings were better being cooler and quieter. Ems : You should go to India. It’s relatively affordable and it’s highly recommended! SUN, WHY YOU SO HOT! —> damn Hindustan la you! 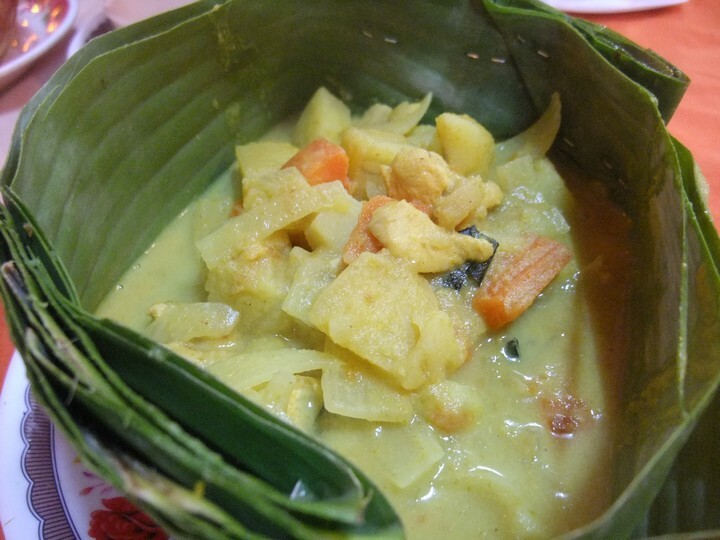 well, I was there back in ’09 and tried a dish known as Amok, which is similar to our local otak-otak but way nicer than that! yaya.. i had amok too.. tasted alright. It is nice blog!!! My girl friend and I were there a few weeks ago and had a great time. We couldn’t do floating village and silk farm but we have done most of it. Your tuk tuk driver were actually our driver as well. I took his daughter’s photo so I want to send him photos. I am just wondering if you know his Facebook account? It’s good to hear that you had a great time, Nobu! I don’t have his contact. Maybe you can try asking the hotel instead? Hi Chris, Sam Oeun was also our Tuk Tuk driver. I lost his number. Is it possible to pass me his number? I need to contact him for something important.